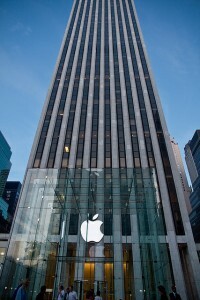 Apple Inc. (NASDAQ:AAPL)‘s recently announced earnings (2Q 2013) proved to be a mixed bag for investors and many (including myself) are questioning an investment in Apple. The market quickly responded to the call by trading about 5% higher than it closed just a few minutes earlier. Good news, right? Well, it seems the market had a change of heart because in pre-market trading the day after earnings, the market dropped over 2% from the previous day’s close (a swing of over 7%). Why the large movements in the share price? Let’s cover a few of the highlights. 1. Tim Cook, Apple Inc. (NASDAQ:AAPL) CEO, said in the call that “We’ve got some really great stuff coming in the fall and across all of 2014.” That tells me they aren’t going to release anything for the next three months. They will announce new features in iOS 7 in June at WWDC, which may hint at new technologies in the Apple iPhone (e.g. If they significantly upgrade Passbook, it would signal to me that near field communication would be coming to the iPhone — more on that later). 2. As demonstrated once again by this report, the iPhone and iPad drive Apple Inc. (NASDAQ:AAPL)’s sales (iPhone 53%, iPad 20%). The iPad is in a comfortable position as the market leader with options on the high end (full size iPad) and the low end (iPad Mini). The latest product release (iPad Mini) is significant as it demonstrates Apple understands that lower priced tablets had the ability (and in fact were starting) to disrupt its dominant tablet market share. Will they realize the same thing soon with larger phones that Samsung and HTC have deployed? To date, Apple is refusing to go with a larger iPhone and Cook dismissed the notion in the 2Q conference call. 3. The stock has dropped over 40% since its highs in September 2012 of over $700/share. Investors worry that Apple’s innovation machine is broken with the absence of their creative force, Steve Jobs, but is the future really that dim for Apple Inc. (NASDAQ:AAPL)? As Benjamin Graham, famous value investor and Warren Buffett’s teacher once said, “In the short term, stocks are a voting machine and in the long term, stocks are a weighing machine.” To me, that means that in the short term, investors trade on rumors, trends and fear/greed while in the long term a stock ultimately rises or falls based on hard data (earnings, cash flow, etc.). 4. The stock had a year over year profit decrease for the first time in a decade. That’s concerning. The bears would say it is a sign of things to come and eventually a pattern that all phone makers experience as they begin their decline (Nokia, BlackBerry, etc.). Logically, in the technology space, what goes up must eventually come down, right? 5. Carriers like Verizon (NYSE:VZ) and AT&T (NYSE:T) are really getting hammered in the amount they pay to subsidize the phones we carry in our pocket. When the Apple Inc. (NASDAQ:AAPL) iPhone came out, it was so revolutionary that AT&T jumped at the opportunity to pay a little up front to get the opportunity to service the new subscribers over time. What they found though, was that their margins suffered. As an example, in the first quarter that the iPhone went on sale at Verizon, their service margin fell from 46.4% to 43.7%. The more iPhones carriers sell, the worse their plight. AT&T posted a 28.7% margin as compared to 37.6% a year earlier. Why?